So, water float + popsicle or nekokoneko beach ball? Possibly the best feature of these two figures is that they’re just meant to be together! 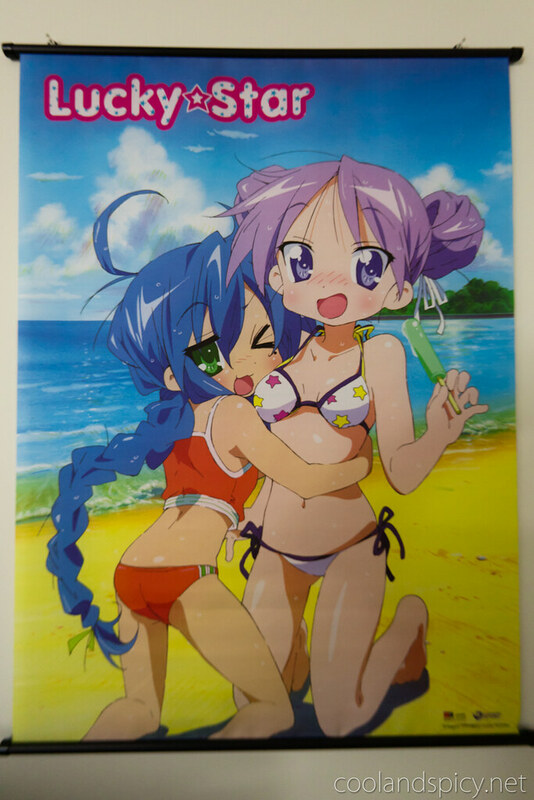 Konata and Kagami’s poses are designed such that they can be placed together for a super cute hug scene xD Kagami’s embarrassed, blushing face with Konata’s sly wink ;-) In case you didn’t catch it, they also come with optional parts to change their appearance. Konata comes with an alternate winking face (shown here) and Kagami comes with her dango hairstyle (in place of the twintails). 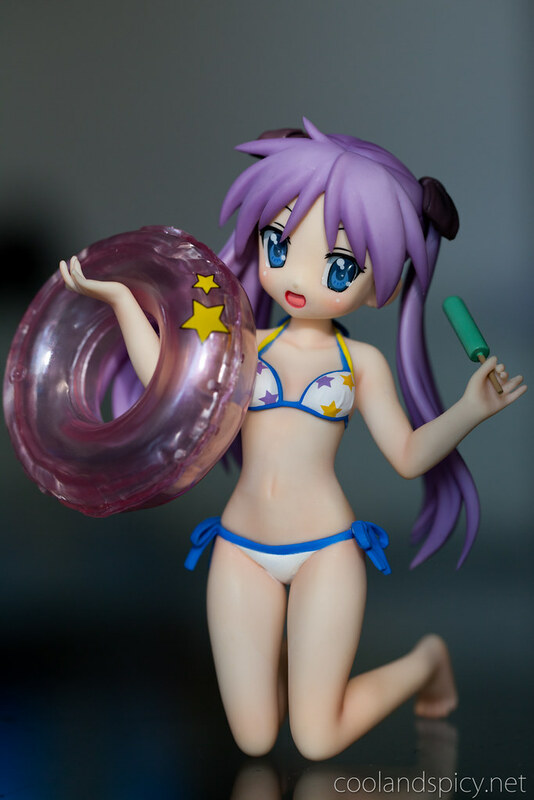 I only have this Kagami at home, maybe I don’t want to share her with Konata XD In the Lucky Star show she always was my favorite, Konata not so much. The quality of my Kagami is very well, the paintjob looks really clean as well as the sculpting of her. I did. 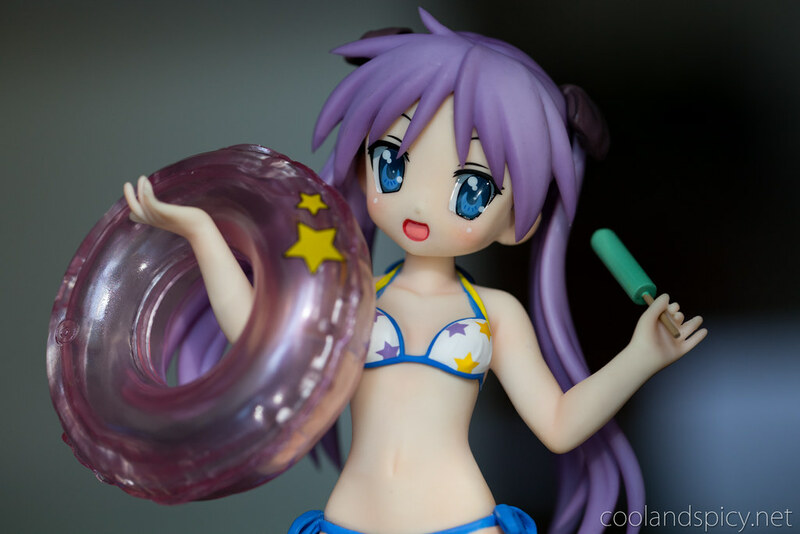 I’m a sucker for One Piece or Lucky Star prize figures. I don’t know who you wrote this for but you helped a brehotr out. NÃ£o , sÃ£o duas coisas diferentes. A crise do SÃ£o Paulo, nÃ£o passa por isso. Em Barueri, o estÃ¡dio fica mais lotado, porque Ã© menor e o aluguel Ã© muito menor. ich hatte mal genau dasgleiche problem, aber es gibt eine lÃ¶sung dafÃ¼r rede mit ihm. sag ihm was du fÃ¼r ihn empfindest, sag aber gleich, dass falls er nicht so fÃ¼r dich empfindet, er die ganze sahce vergessen soll und du weiter mit ihm befreundet bleiben willst. er versteht das sicher und vl fÃ¼hlt er ja geausound falls nicht, dann wirst du bestimmt trotzdem noch siene beste freudnin sein. wegen so etwas will er dich schlieÃŸlich nicht verlieren. Have you ever considered about adding a little bit more than just your articles? I mean, what you say is valuable and everything. But think of if you added some great images or video clips to give your posts more, “pop”! Your content is excellent but with pics and videos, this website could definitely be one of the best in its niche and you must add more topics like . Excellent blog! Love these two figures for the same fact, that they can be posed together like in the original artwork which is quite lovely. Of course, do adore the slight yuri undertones. I think I have that same exact wall scroll somewhere in my room lol. Love that Kagami comes with her hair in a bun. Kagami is definitely the better of the two :P. Though I’m just biased because I love Kagami the best lol. They’re really well done figures from Wave.